You will want to curl up on the couch with this comforting pasta dish. 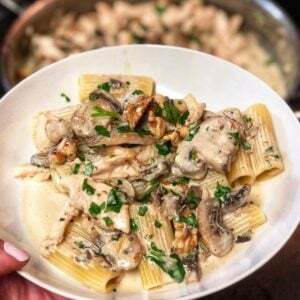 My recipe for Rigatoni with Chicken in a Gorgonzola Cream Sauce is super rich and decadent, yet simple to make…and can be done in just about 30 minutes! 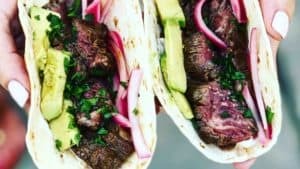 It is also relatively inexpensive and can feed a family with leftovers the next day! Start boiling a pot of salted water for the pasta. 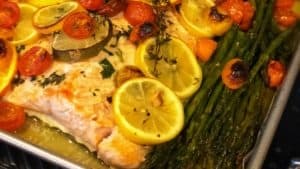 Heat up one tablespoon olive oil in a deep pan. I love, love, love cooking with All-Clad. I have this set and love every single piece. Cut the chicken tenders into pieces about the size of the rigatoni. Season the chicken with salt/pepper. 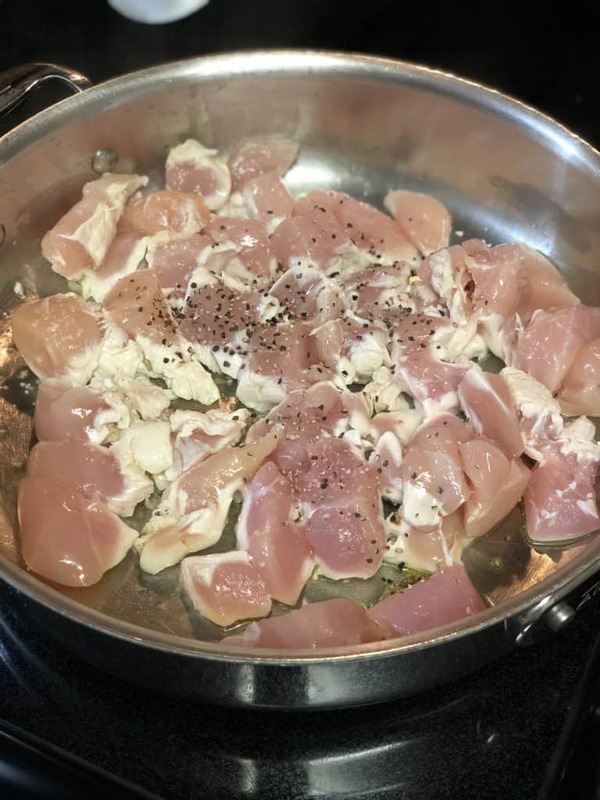 Add to pan and allow to cook through…try not to overcook…you want tender pieces of chicken in the finished dish. 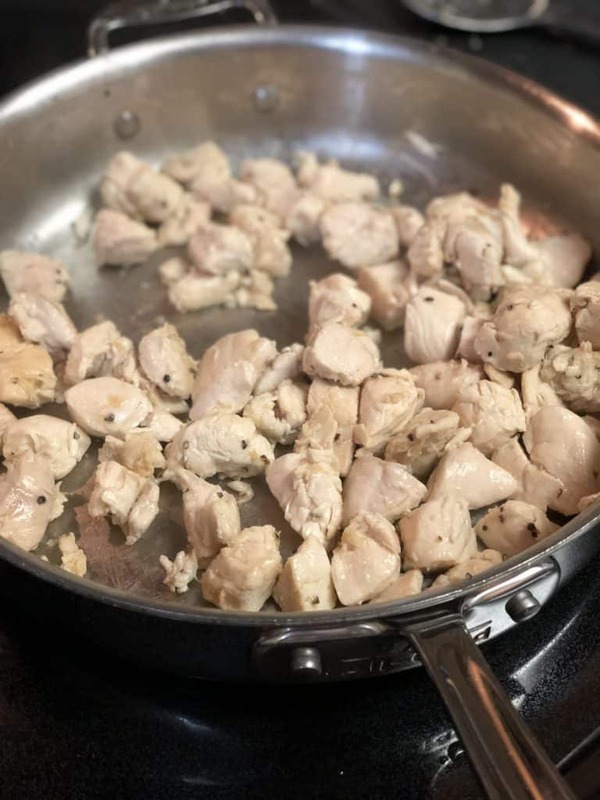 Once chicken is cooked, transfer to a plate and reserve. 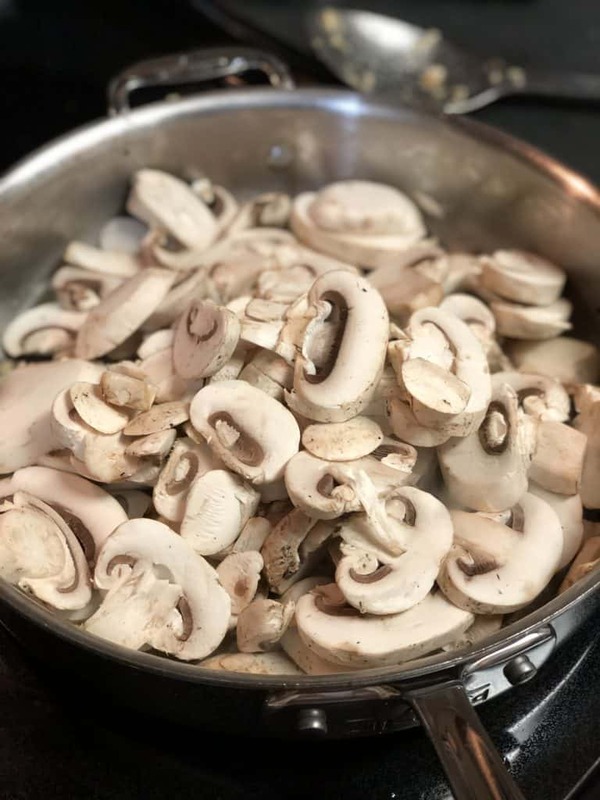 In the same pan, on medium-high heat, add the mushrooms. 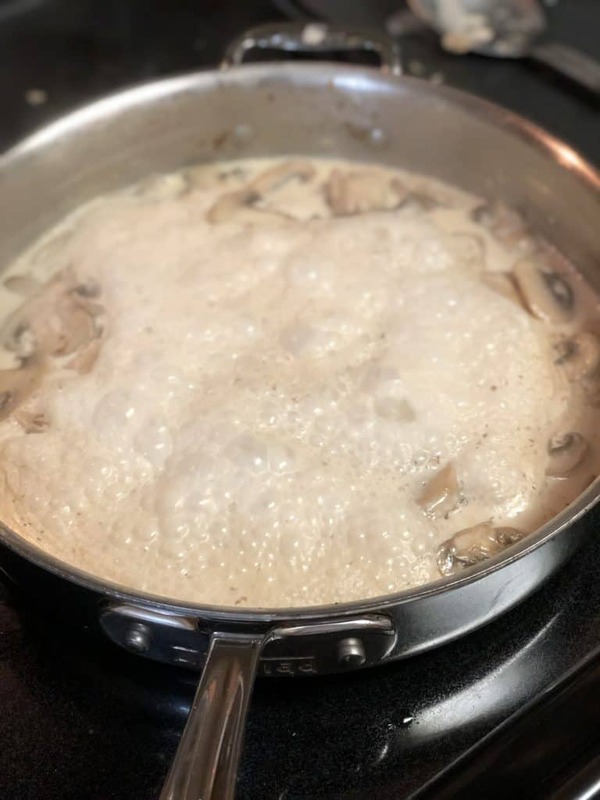 I like to cook mushrooms at a high temperature so that any water that is released, cooks off quickly. 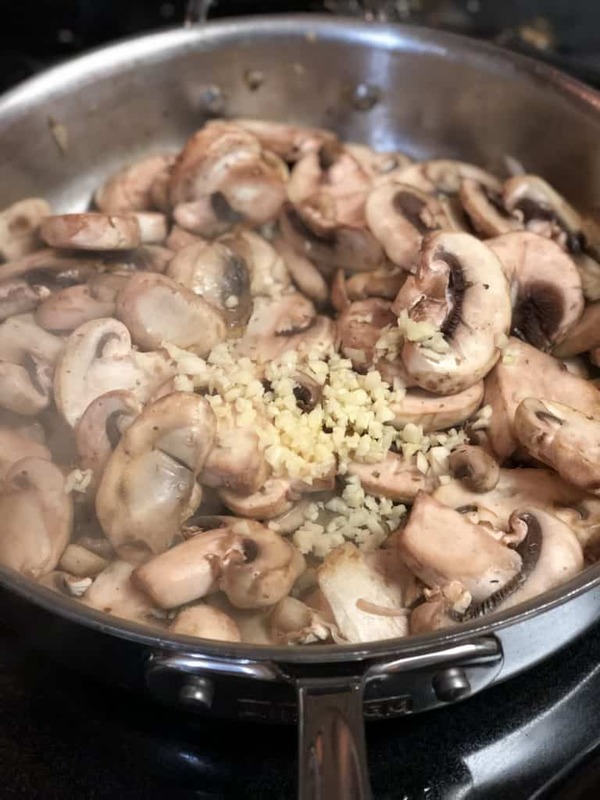 When the mushrooms are just about done, add in the garlic and continue cooking for just a few minutes…do NOT allow the garlic to turn brown! Start boiling the pasta. 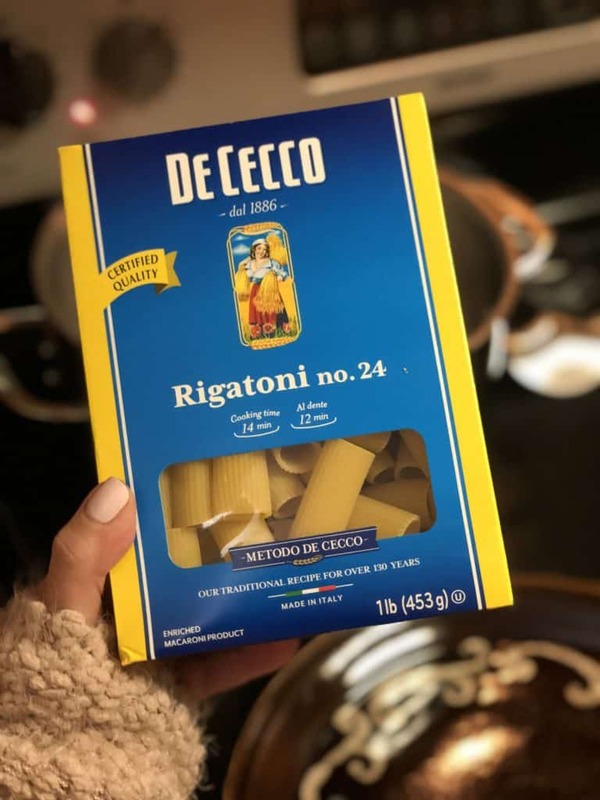 I’m in love with DeCecco…their pasta turns out perfectly every time…only cook to al dente! 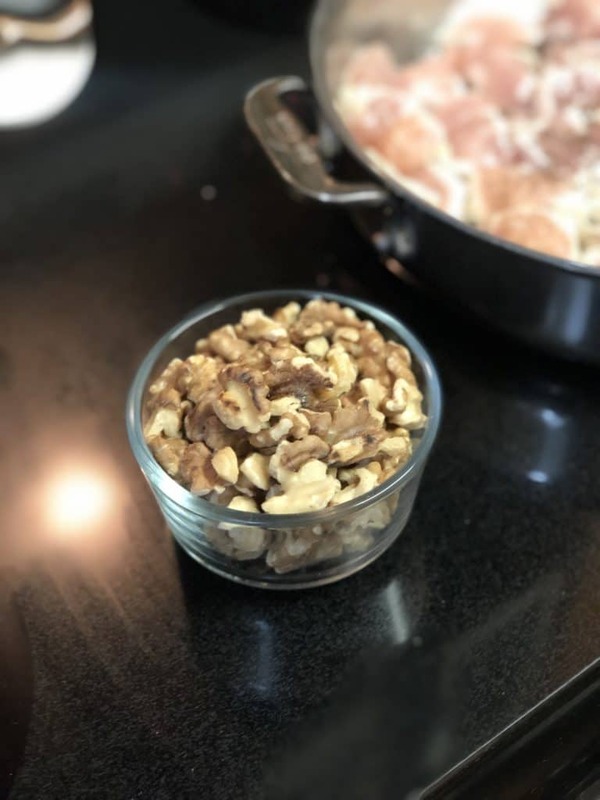 In a separate pan, toast up the walnuts…be sure to keep a watchful eye on the nuts…they can burn easily! 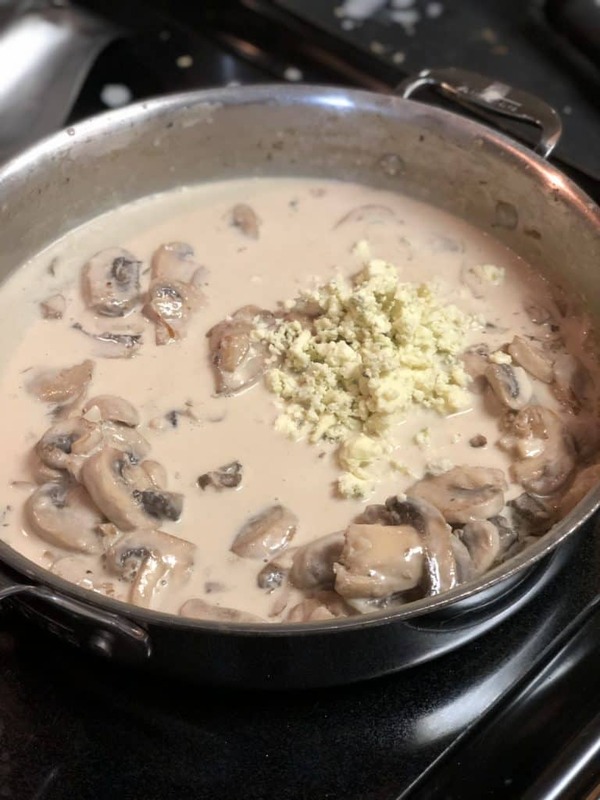 Add about 10 ounces of the heavy whipping cream to the mushroom/garlic mixture…keep heat at medium-high and allow the cream to simmer and thicken. This should take about 8 to 10 minutes. The pasta should be just about done at this point. Drain…do NOT rinse! 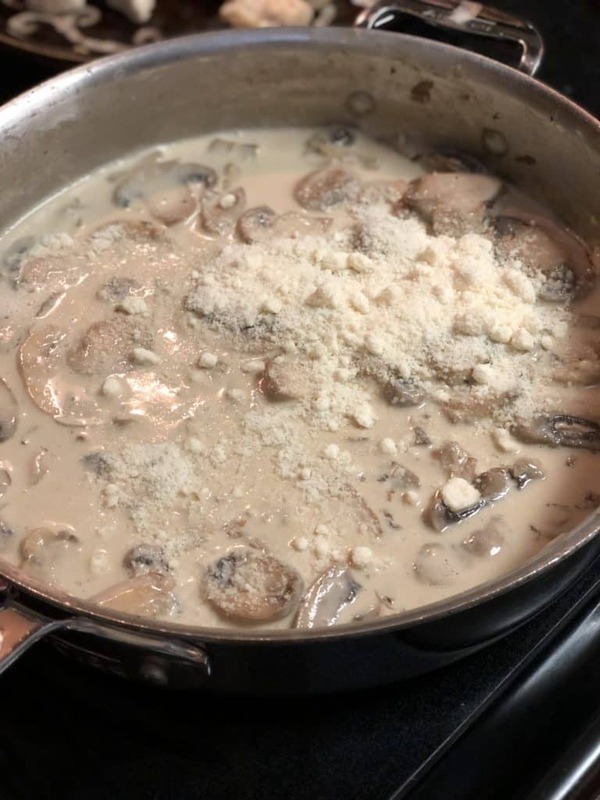 Once thickened ,remove pan from heat and stir in the Parmesan cheese. Stir in the Gorgonzola. 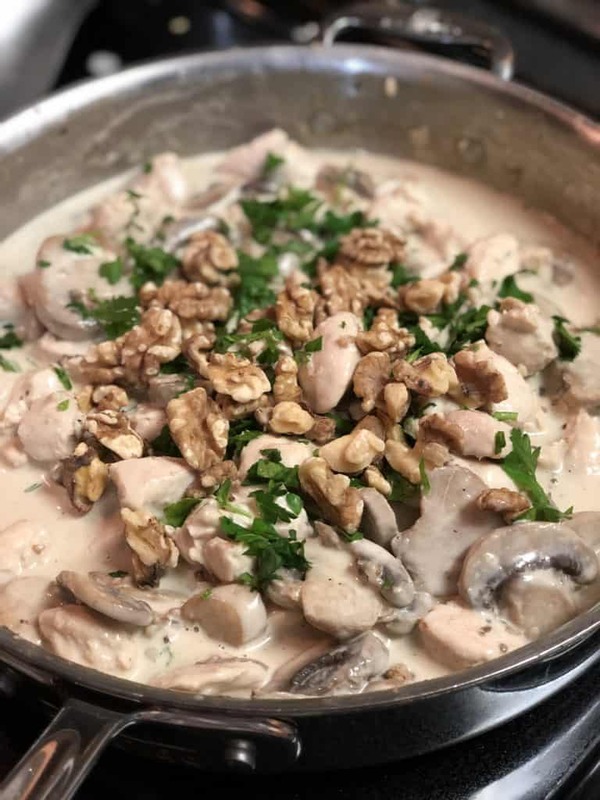 Add the chicken, toasted walnuts and fresh parsley. Toss to coat. 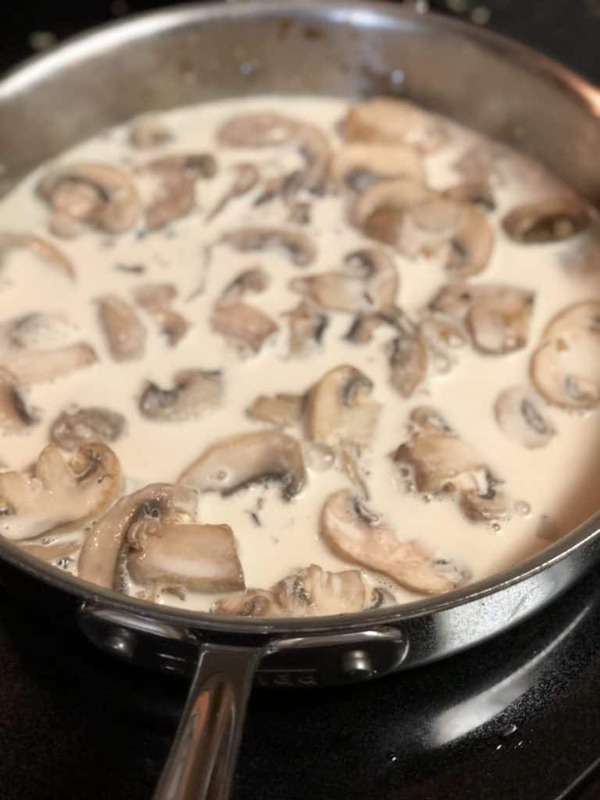 If the sauce is too thick, add in the remaining few ounces of heavy whipping cream. I think I ended up using almost all of the 12 ounces and maybe a little more. Place cooked rigatoni in a bowl and pour sauce on top! Gently toss the pasta. Garnish individual servings with a few toasted walnuts and a touch of fresh parley. ENJOY! 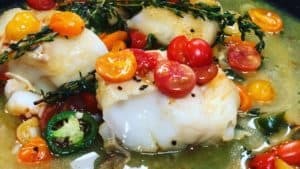 You will notice I use this shallow white bowls often to display my recipes…there is just something about a white bowl that I love…grab a few by clicking here!